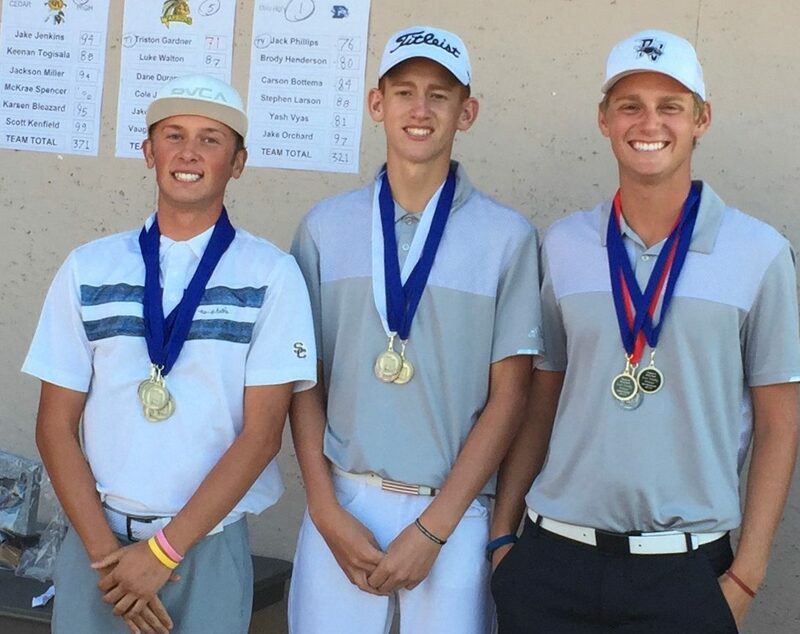 HURRICANE – Snow Canyon’s Tristan Gardner squeaked out the individual gold medal for Region 9 golf, edging past Pine View’s Jaden Milne and Lucas Schone in the final regular-season tournament of the year Monday. Milne and Schone helped Pine View capture the team title (the Panthers’ third straight) by a slim margin over Desert Hills and Dixie. But it was Gardner, who won or tied for first in three of the last four tournaments, that came away with the individual honors. Schone, just a freshman and the younger brother of last season’s medalist, Noah Schone, actually led for the region gold going into the last two holes Monday, but faltered along the way with a couple of over-par scores. That enabled Gardner to tie Schone in the tourney and overtake Milne for the region championship. Gardner and Schone ended up splitting the first- and second-place points at Sky Mountain (six for first, five for second), giving Gardner 37.5 points on the season, a half-point ahead of Milne and a full point ahead of Schone. On the year, Gardner won three tournaments (Southgate, Sunbrook and Green Springs), tied for top honors at Sky Mountain and was in the top four in every other tourney. Milne had victories at Sky Mountain (back in August) and at Cedar Ridge, while Schone took top honors at SunRiver and Cedar, plus Monday’s tie for first with Gardner. The team title was almost as close as the individual race. Pine View ended up with a team average of 315.0, just ahead of the Thunder’s 315.6. Dixie’s third-place average was close as well at 316.4. Snow Canyon was fourth (329.8), Hurricane fifth (334.3), Cedar sixth (354) and Canyon View seventh (392.5). 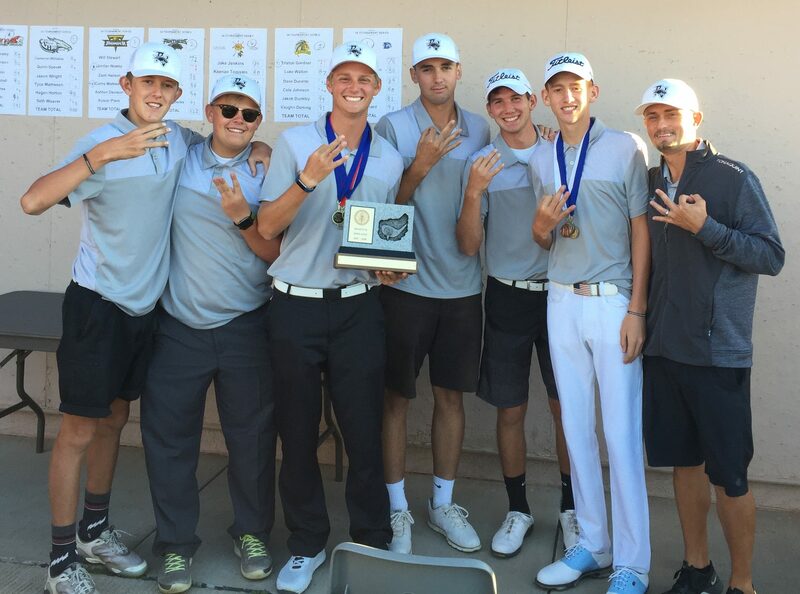 Second-place Desert Hills was led this season by Curtis Matheson and Will Stewart, while third-place Dixie was led by Brody Henderson and Jack Phillips. The state 4A Tournament is next Wednesday and Thursday at Hurricane’s Sky Mountain Golf Course. 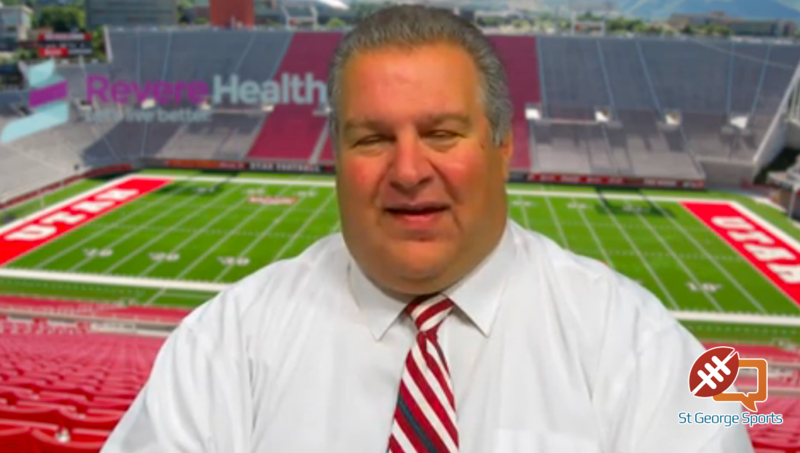 Bergeson said Park City will be the prohibitive favorite at state. The Miners are seven-time defending state champs. Other contenders for the title will be Bonneville and the trio of top teams from Region 9, Pine View, Desert Hills and Dixie. The two-day state tournament begins Wednesday at 9 a.m. and will conclude Thursday afternoon. Note: points awarded as six for first place, five for second, four for third, three for fourth, two for fifth, and one for sixth. Ties split points for both places.